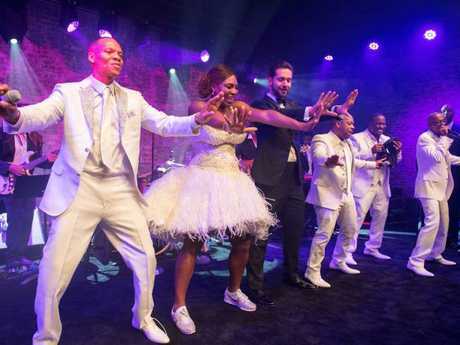 IT WAS a perfect match - Serena Williams married Reddit co-founder Alexis Ohanian in New Orleans in front of a host of celebrity friends. 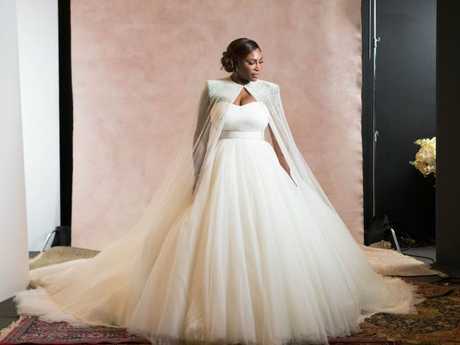 The tennis champion walked down the aisle in a stunning strapless gown by Sarah Burton for Alexander McQueen teamed with a glittering cape and a traditional veil on Thursday night, reports the New York Post. Her bridesmaids wore dresses by Galia Lahav with capes matching Serena's. The official wedding photographs were released by Vogue Magazine in the US. Guests watching the couple exchange vows included Beyoncé, Kim Kardashian, Eva Longoria, Ciara, La La Anthony, Selita Ebanks and Kelly Rowland. Serena's mum, Oracene Price, carried the couple's 11-month-old daughter. Also among the 250 guests at the fairy tale-themed ceremony at the Contemporary Arts Center in New Orleans was fellow tennis star Caroline Wozniacki with her fiance, NBA star David Lee, and Anna Wintour, who is covering the nuptials in Vogue. 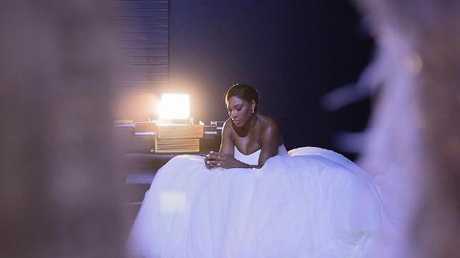 After exchanging their vows, Serena changed into a Versace number for the reception with a detachable skirt for dancing. She also donned a pair of custom white Nike sparkly sneakers. Appropriate for the wedding of the best tennis player in history, each table at the reception was named after one of Williams' Grand Slam titles, and guests even took home replicas of her trophies which held their place cards. Eighties band New Edition played a five song set before a DJ took over and the bride took to the dance floor with sister Venus. Guests all got white Converse to wear to dance, monogrammed with the couple's initials. 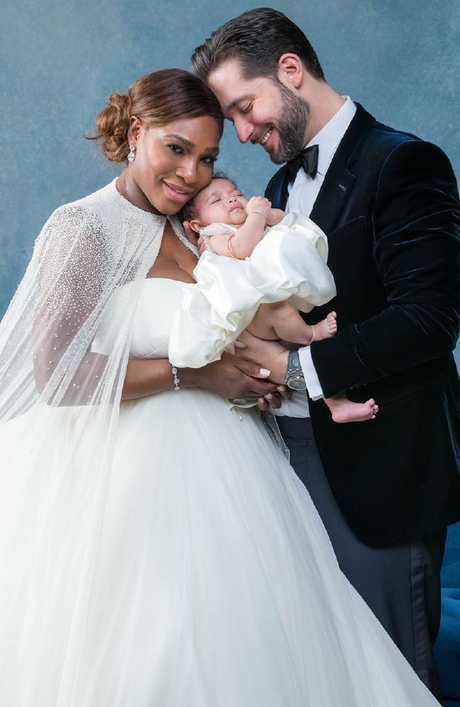 Williams, 36, and Ohanian, 34, welcomed their first child, Alexis Olympia, on September 1. They announced their engagement in December, a year after meeting in Rome. The pair met in May 2015 at the Hotel Cavalieri Hilton in Rome, when Ohanian sat down at the table right next to Williams' group by the pool. Williams and her friends tried to get him to leave by telling him there was a rat at his table. When he responded, "I'm from Brooklyn. I see rats all the time," they invited him to join their table. This article was originally published on the New York Post and was republished here with permission.